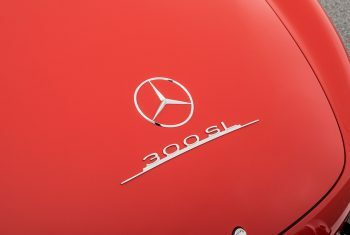 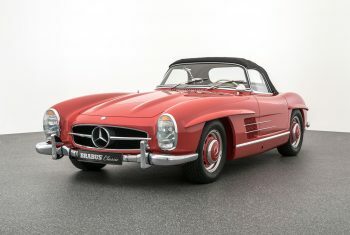 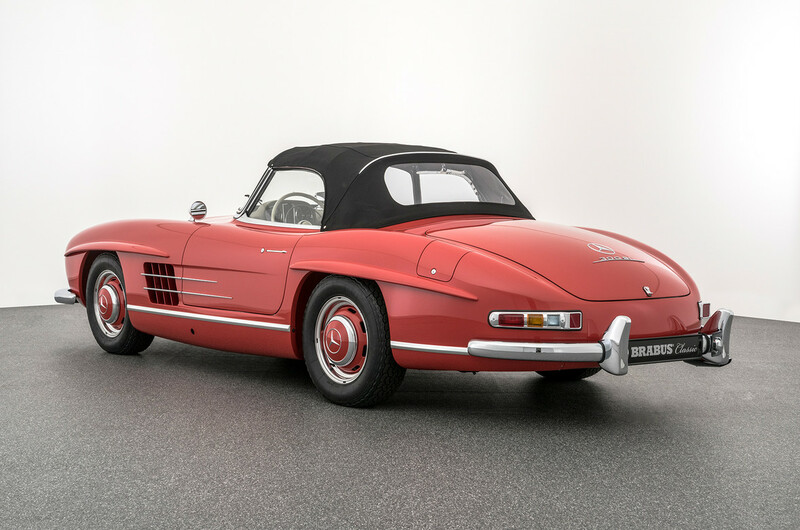 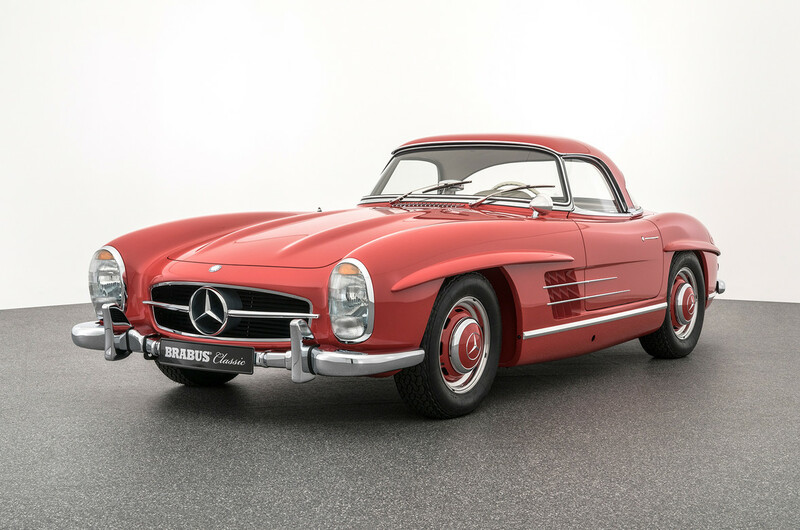 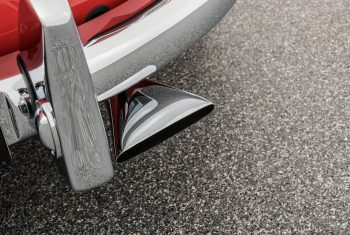 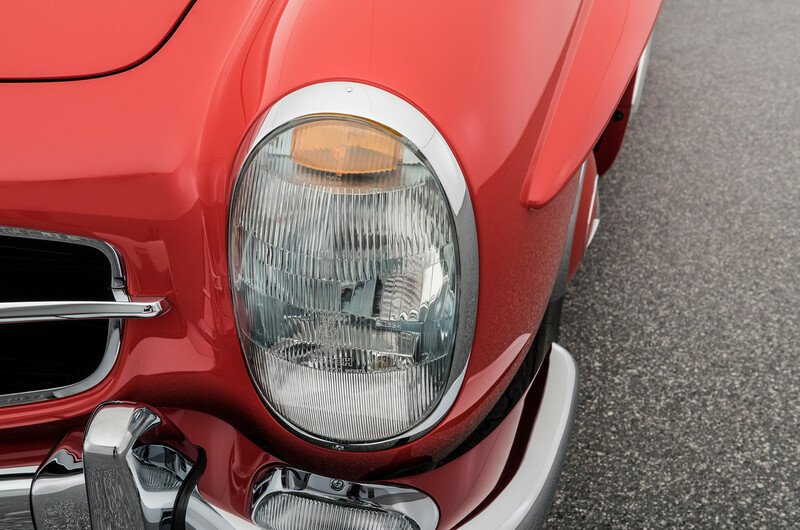 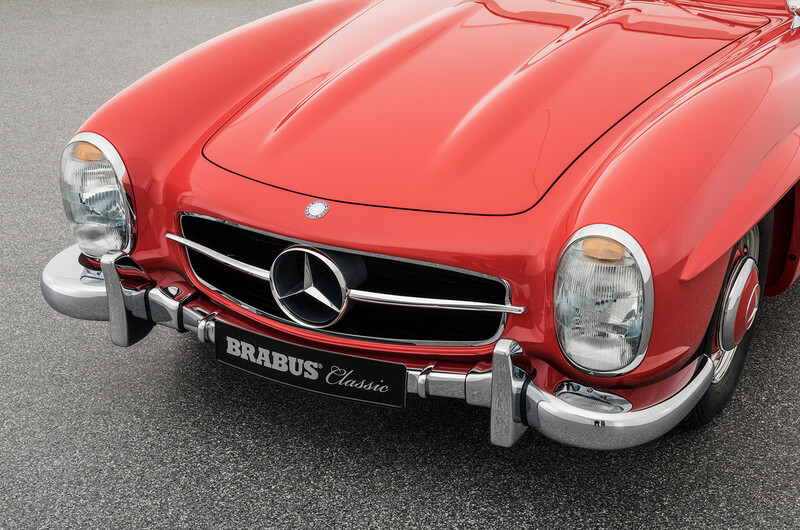 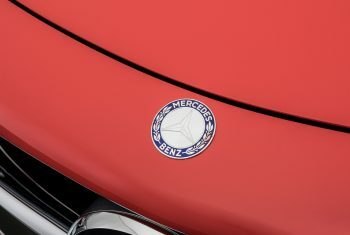 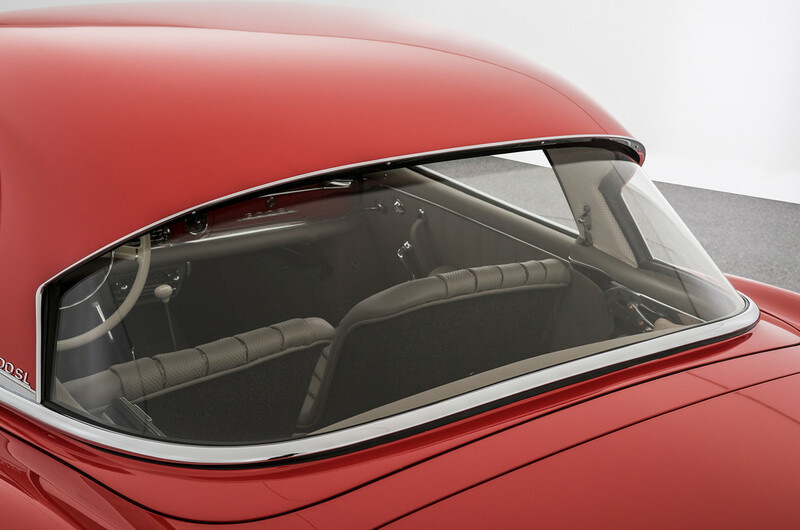 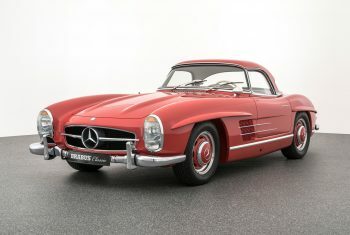 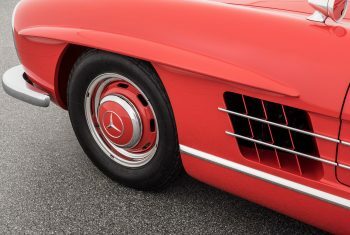 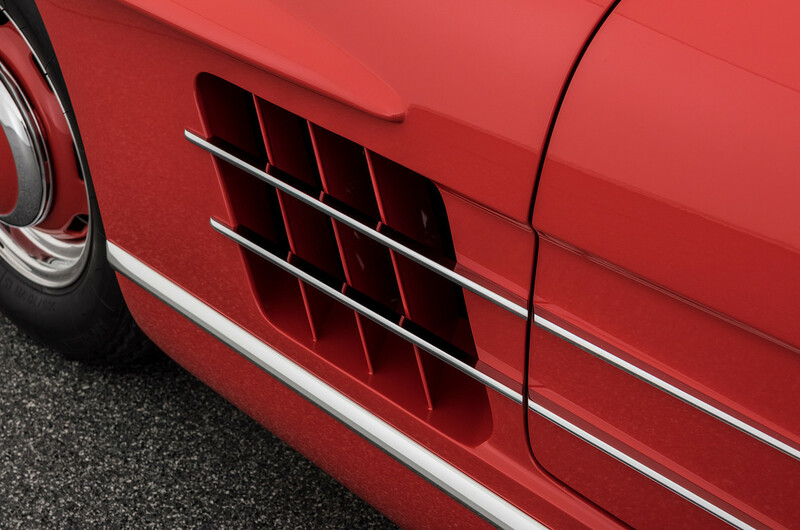 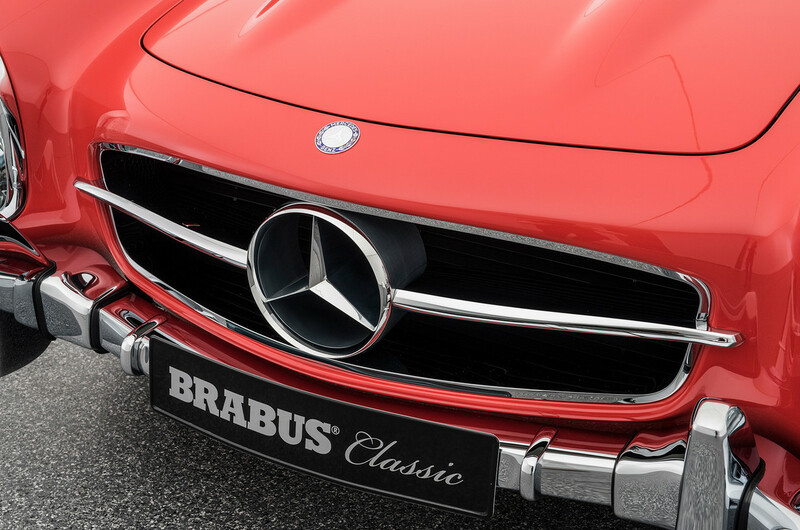 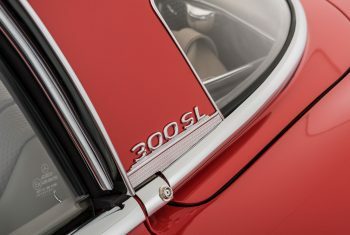 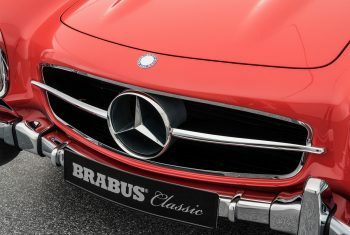 The Mercedes-Benz 300 SL Roadster is a popular collector’s vehicle with enormous appreciation. Vehicles of late production years (61-63) and vehicles with rare factory options are especially sought after. 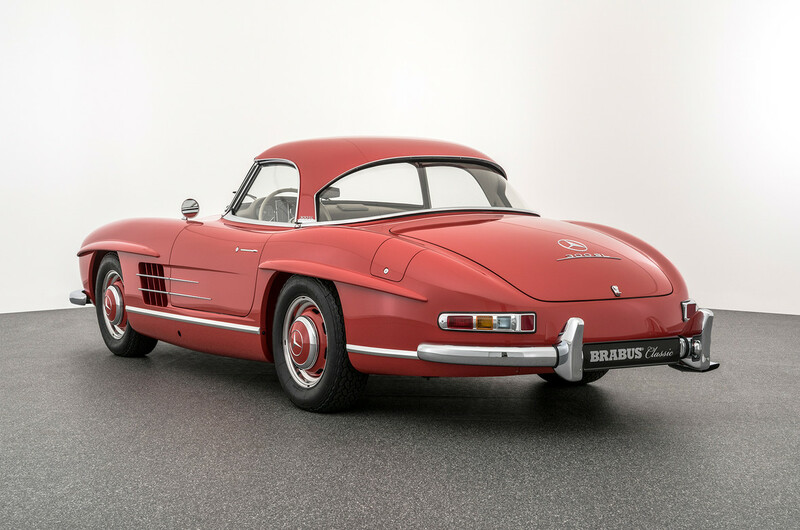 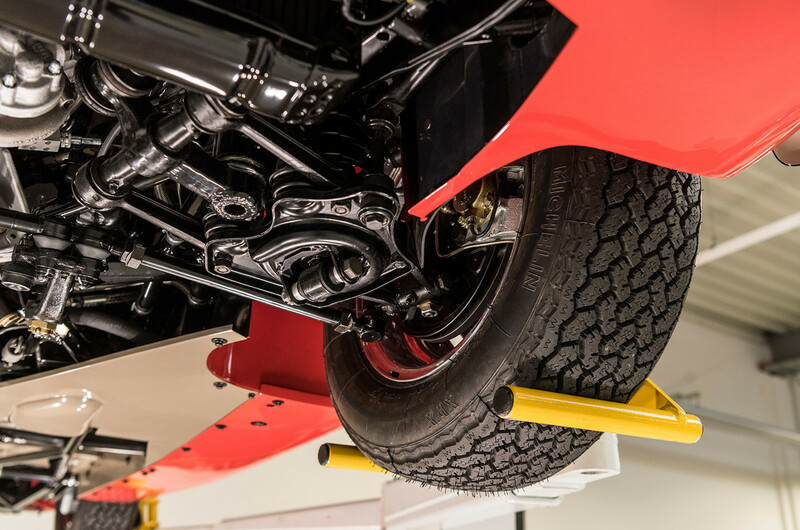 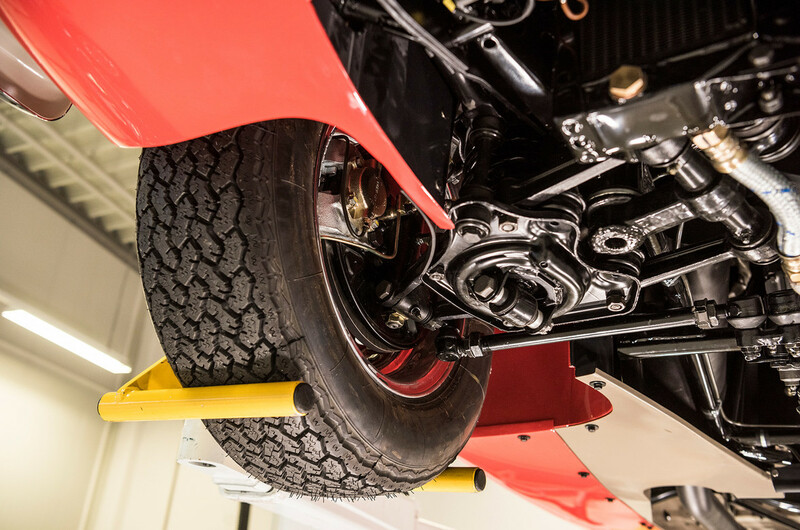 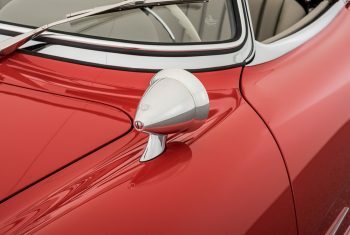 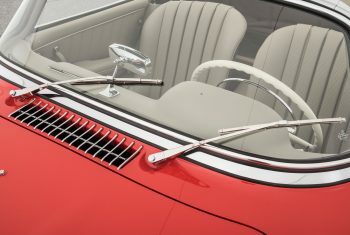 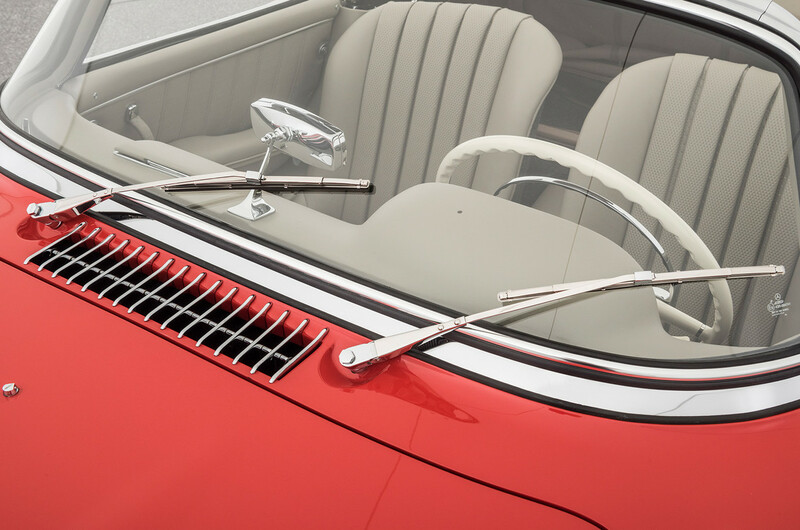 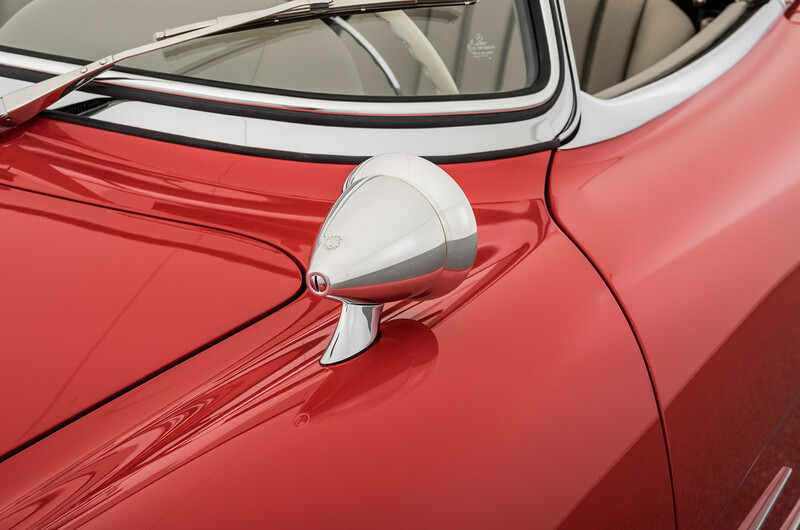 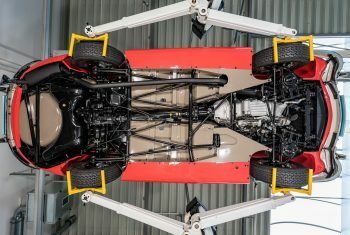 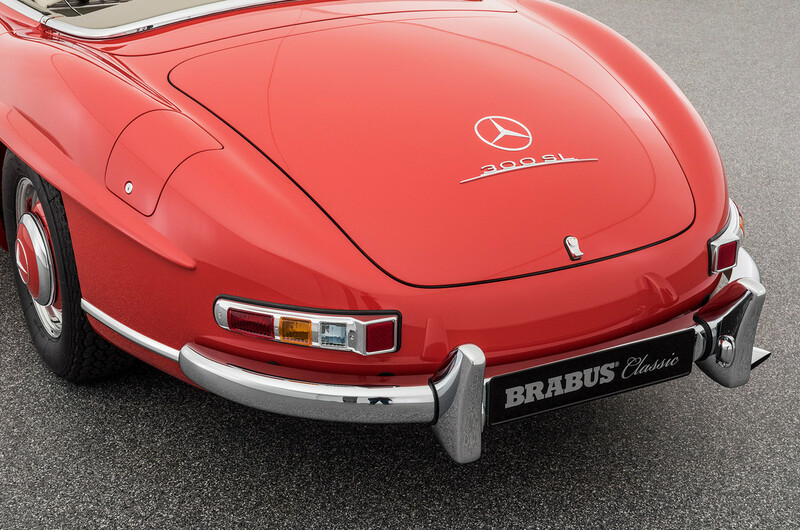 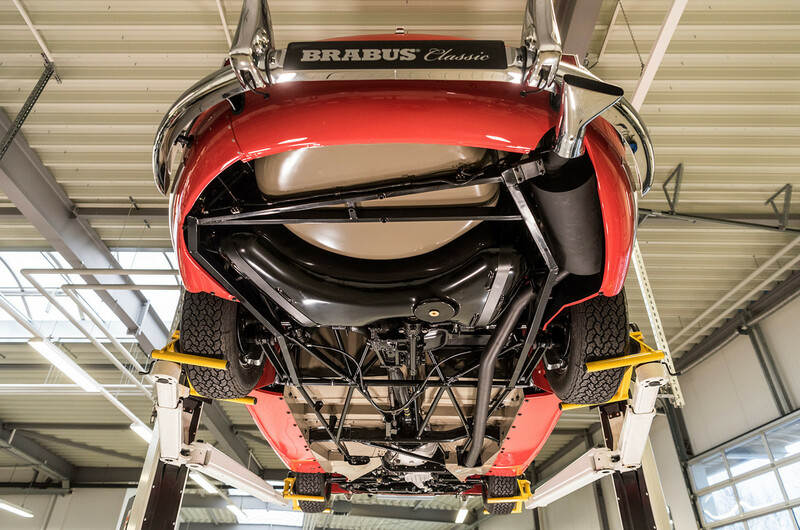 The vehicle on offer is an original disc-brake of 1961 which has been equipped with an original aluminium engine before its factory delivery and fascinates in its extremely tasteful configuration 534 fire red over light grey leather.